An “All India Institute of Ayurveda” would be by the Maharasthra Government opened along the Konkan coastline, which would emphasize on research and education in Ayurveda.Apart from the centrally-run institution, the government is also eager to establish special ‘Panchakarma Centre’ in the vicinity for attracting tourists. Facilities such as Ayurvedic massages and other treatments will be offered at cheaper rates than in Goa and Kerala, it is said. Apart from the centrally-run institution, the government is also eager to establish special ‘Panchakarma Centre’ in the vicinity for attracting tourists. Facilities such as Ayurvedic massages and other treatments will be offered at cheaper rates than in Goa and Kerala, it is said.The institution would be the apex body for education and will offer under-graduate, post-graduate and doctoral courses. There would be a training centre too, along with an attached drug standardization facility. The government is particular about this location, due to its proximity to Goa, which is home to large number of tourists every year. The ‘Sidhudurg’ district is being looked at as a possible site, but other sites may also be considered.Apart from this, AYUSH (Ayurveda, Yoga, Naturopathy, Unani, Siddha and Homeopathy) Ministry formed by the government, also plans to establish an “All India Institute of Ayurveda in Delhi (AIIA)”, which is considered an apex institution for Ayurveda, similar to AIIMS for medicine. AIIA Delhi will offer postgraduate and doctoral courses in various streams of Ayurveda and focuses on fundamental research of Ayurveda, drug development, quality control, standardization, safety evaluation, and scientific validation of Ayurvedic medicine. It will also house a 200 bed referral hospital for facilitating clinical research. When fully established, AIIA will have 25 specialty departments and 12 clinics with 8 inter-disciplinary research laboratories where 120 scholars will have access for PG and Ph.D programs annually. The Indian government is keen on promoting Yoga and other indigenous streams of medicine. 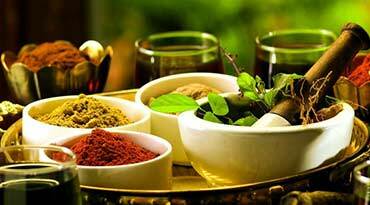 Research is considered to be the main function of the institute, but, it would be drawing several tourists due to renewed global interest in Ayurveda. Speaking during the recently concluded Global Ayurveda Festival 2016, the Indian Prime Minister Shri Narendra Modi mentioned that Ayurveda is globally relevant due to its holistic and comprehensive approach to health. The ayurvedic ‘dinacharya’ helps in adding peace and harmony to one’s life. Such a daily routine improves mental and physical health of a person. He said that non-communicable and lifestyle diseases like diabetes, hypertension and cancers have been the greatest health challenge to the world community, and coupled with that escalating treatment costs and side effects of allopathic medicines have prompted medical experts to consider widening their horizons to traditional streams of medicine. India has a long tradition of saints and hermits who evolved the indigenous sytems of healthcare like Ayurveda, Yoga and Siddha. India has a long tradition of saints and hermits who evolved the indigenous sytems of healthcare like Ayurveda, Yoga and Siddha. But, the real potential of Ayurveda has remained untapped so far, due to inadequate scientific scrutiny and concerns about standards and quality. If this problem is solved, India can be a pioneer in offering affordable, holistic healthcare to the whole world, the PM pointed out. The Prime Minister said that his government is fully committed towards promotion of ayurveda and traditional systems of medicine.